Hello all and happy 21st day of Blogmas!!! As of 4pm this afternoon, I am officially finished my fall term of university!!! I wrote my final exam for my Cognitive Neuroscience class, and now I am free!!! To celebrate my newfound freedom and warmly re-welcomed social life, I popped into a local wool shop to scoop up some wool bundles for a bunch of projects I am hoping to start soon, and to get working on a few last-minute Christmas presents. I kind of got a little carried away as you can see . . . but everything was on sale; how could I not??? It will all be used eventually, and I like having a wide selection of colours to pick from. 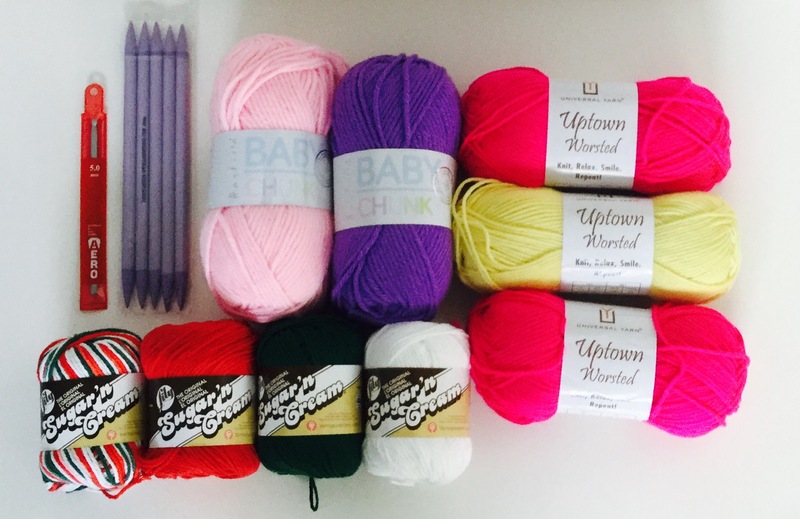 What are some of your recent knitting projects??? P.S. Don’t forget to enter my Urban Decay Gwen Stefani Eyeshadow Palette giveaway here!!! This giveaway ends December 24th at 11:59pm PST, and there are chances to have up to 3 entries!!! Thank you!!! I fell in love with them in the shop and pictured everything I could make with them.